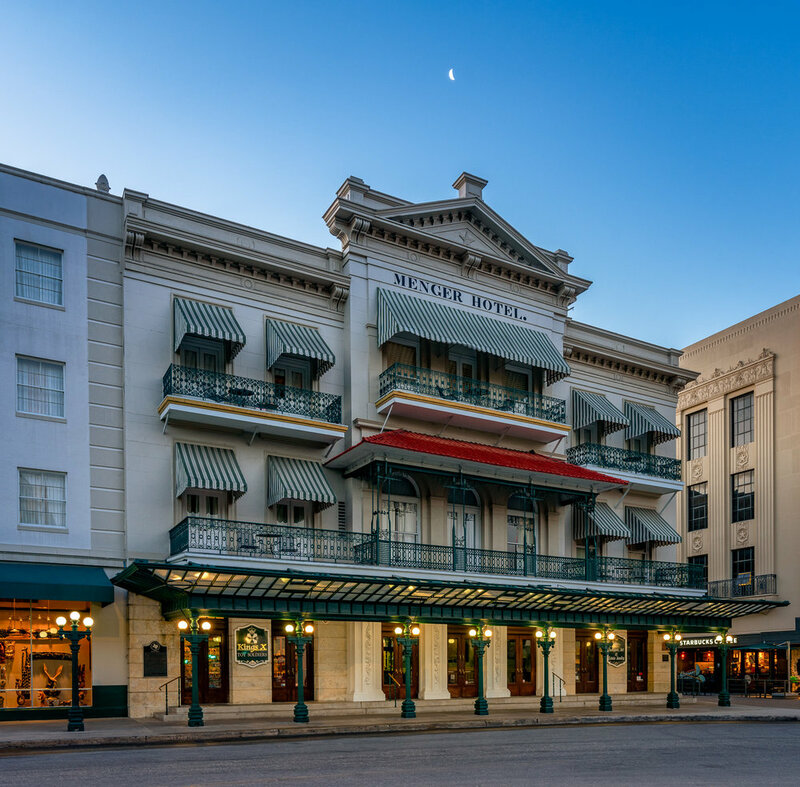 The Menger Hotel is San Antonio's oldest operating hotel. It first opened in 1859 as a brewery and over time was redeveloped into a hotel with large additions by famed architects Alfred Giles and Atlee/Robert Ayers in the 1940s. Fisher Heck was retained by the Galtex Hotel Corporation to help restore the original entrance to the hotel, rehabilitate interior rooms and plaza retail spaces consistent with the work of Ayres firm. The original entrance facade, with seven sets of double doors, was restored based on a photograph of Babe Ruth standing in front of the hotel. The facades facing the plaza and Blum Street were rehabilitated based on extant materials. Interior improvements included the rehabilitation of the original entrance lobby by repairing existing plaster cornices, installing new wainscoting to match the existing Ayres Colonial Dining Room, and restoring the original mosaic tile floor. In addition, two existing archways were exposed, one within the building that provided access form the entrance hall to the rotunda and the other at the exterior Blum Street facade, which provided the opportunity for a small retail business tenant.